Blue text indicates a link. It's best not to rely on a printed version of this page. Assignments are subject to change at any time. Check this page frequently for updates. TUESDAY: Introductions: Get to know the syllabus. Lecture/discussion: What is media history and why study it? THURSDAY: From writing to printing, and the press in early America. Bookmaking in the Middle Ages — A quick look at a slow job. 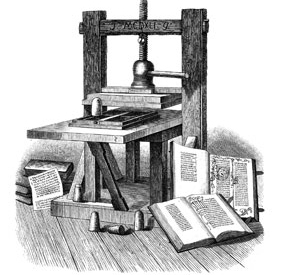 The History of Printing — A brief history from the invention of moveable type to the 20th century. The Beginning of Newspapers — From the earliest European newspapers to the American colonies. Women Printer's in Colonial America — From the beginnings in the American colonies, women worked as both printers and editors. Read about them here. These online readings are all from the wonderful Colonial Williamsburg Historical Foundation site. Watch: The videos below on the making of a Medieval book and the Gutenberg printing press. 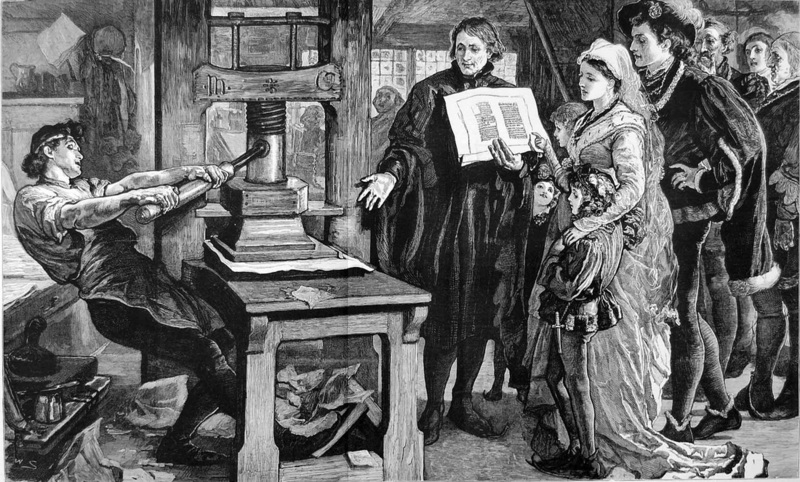 (Above left) The story of Johannes Gutenberg, how his printing press was invented, and why. Part of the series "Great Moments in Science and Technology." The news was old before you got it — How Benjamin Franklin tried to "get out the news" faster. 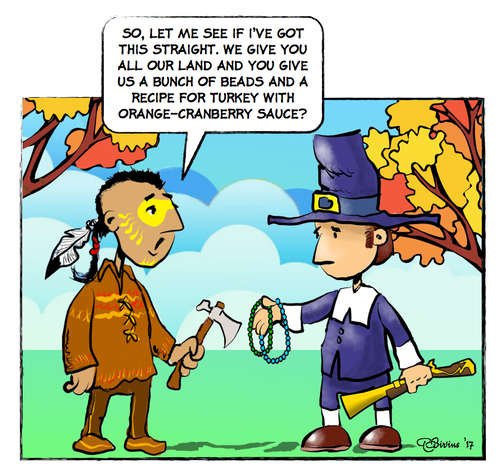 The Problem of Becoming One — How the early "communication circuit" helped bring the colonies together. "Back Issues" from the New Yorker — A great piece on the state of newspapers today and in revolutionary times. Click on the image to view the story of the First Amendment and the years following its passage. From the Newseum's Digital Classroom. THURSDAY: Journalism in the 19th century: Jacksonian Democracy and the emergence of the Penny Press. The History of the Penny Press — How the news became the voice of the people in the 19th century. The Great Moon Hoax — An amazing "news" story that fooled a lot of people. Watch: The video (right) on the early history of advertising. A short clip from Sell & Spin: A History of Advertising. It takes us from the earliest advertising to the birth of the ad agency in the 19th century. A brief history of the telegraph -- The telegraph revolutionized the way we communicated, and has been called the "Victorian Internet." Mr Lincoln's T-mails: What Abraham Lincoln Taught Me about Email — How Lincoln used the telegraph in the same way we use emails today. The story of the telegram — Before email and instant messaging, this was the only way to communicate across distances in a hurry. Watch: The video (above right) on Samuel Morse, the inventor of the electric telegraph. From the series, Great Moments in Science and Technology. 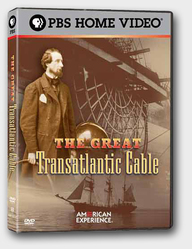 THURSDAY: We will watch The Great Transatlantic Cable in class. See more information on the right. This program tells the story behind the laying of the transatlantic cable. The physical challenges to laying the cable were enormous. The project would require the production of a 2,000 mile long cable that would have to be laid three miles beneath the Atlantic. Cyrus Field, an energetic young New Yorker wasn't deterred, and since its completion in 1866, nothing has broken his communications link with Europe—not storms, earthquakes or war. TUESDAY: Activity Essay 1 is due today at 8:00 a.m. (see the direction sheet for details of the assignment.) Go to the Canvas site and submit your completed essay there. Submit your assignment on Canvas in MICROSOFT WORD FORMAT. If you use a different program, check with the instructor first. DO NOT SUBMIT IT AS A PDF FILE! Newspapers in the Civil War — An essay on the importance of newspapers before and during this five-year conflict. Artists as Journalists in the Civil War — Newspapers relied heavily on artwork to help tell the story. Meet some of the major contributors in this article. The First Photograph — Learn about the process of the earliest form of photography from this terrific site at the University of Texas. The Daguerreian Era and Early American Photography — The effects of the photographic revolution in America. Photography and the Civil War -- Photographs couldn't be printed in newspapers, but that didn't stop photographers from making the Civil War the first, fully photographed large-scale conflict. The first commercially successful photographic process was announced in 1839, the result of over a decade of experimentation by Louis Daguerre and Nicéphore Niépce. Unfortunately, Niépce died before the daguerreotype process was realized, and is best known for his invention of the heliograph, the process by which the “first photograph” was made in 1826. Daguerreotypes are sharply defined, highly reflective, one-of-a-kind photographs on silver-coated copper plates, usually packaged behind glass and kept in protective cases. The daguerreotype process is demonstrated in this video. Yes, Virginia, There is a Santa Claus — One of the most-remembered articles ever written, and how it came about. The History of the Magazine — From its earliest European forms to modern day. The Muckrakers — A brief look at the journalists who exposed wrong-doing in both government and big business. The history of Yellow Journalism — Before the Muckrakers, there were the "stunt" journalists and the purveyors of "make-it-yourself" journalism. 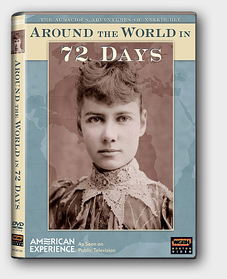 Nellie Bly talked her way into a job on a newspaper, then went on to become "the best reporter in America." To expose abuse of the mentally ill, she had herself committed. But when she traveled around the world in just 72 days, beating Jules Verne's fictional escapade, she became a world celebrity. Her exploits earned her a reputation for fearlessness and, in the process, she changed the way news was gathered and reported. THURSDAY: Study session for the midterm. The study guide can be found here. Look it over and ask any questions you might have. World War I and the rise of the propaganda machine. Rise of the image men — How public relations became a major factor in the struggle over control of public opinion. The History of the Typewriter — This machine literally revolutionized communication, both in business and in journalism. The History of the Telephone --It signaled the demise of the telegraph and ushered in a new era of instant communication. Watch: The videos on the right about the typewriter and the telephone. TUESDAY: Pictures move: the beginnings of movie making and the reaction of censorship. History of the Movies -- From the first moving pictures to the latter part of the 20th century. Watch: The video (right) on the Lumiere brothers of France and their development of the art and science of cinematography. Recording History — Before radio, there was only sound recording, first on wax cylinders, then on records, then on tape, CDs, and beyond. The First Sound Recording — Before Edison, a recently discovered, very early recording on paper that could only be played using today's technology. The Invention of Radio -- It changed everything, and for nearly 60 years was the world's primary communication medium. The New York Times coverage of War of the Worlds — Like the "Great Moon Hoax" a hundred years earlier, it really fooled a lot of people. Edward R. Murrow's "Orchestrated Hell." One of the first and most noted war correspondents on an unauthorized bombing run over Germany. Be sure to listen to the audio link. We’ll also listen to some old radio programs in class. Watch: The video on the right about the invention of the phonograph. From the series, Great Moments in Science and Technology. Also Watch: The movies (below left) on Marconi's invention of wireless telegraphy—the earliest form of radio—and (right) on the early days of radio. Activity Essay 2 is due TUESDAY at 8:00 a.m. (see the direction sheet for details of the assignment.) Submit your assignment on Canvas in MICROSOFT WORD FORMAT. If you use a different program, check with the instructor first. DO NOT SUBMIT IT AS A PDF FILE! Journalism, WWII — A look at two of the most popular American war correspondents, on the ground in the midst of the fight. Comic Art in WWII — Comics helped with the war effort and with the morale of the troops. Radio, WWII — The most important link to home for the millions of troops overseas during the war. Plenty of links for listening to the actual programs. Read the section on this site on anti-Japanese propaganda during WWII. Watch: The video (above right) of Bob Hope's wartime Command Performance show. Command Performance (1942-49) was an early hit over AFRS during World War Two. Servicemen were encouraged to write to the show and request their favorite stars, and suggest performances they would like to hear. This version, shot on film, was also recorded on disk for audio distribution abroad. For fun, see if you can decipher Betty Hutton's language used in the song "Murder he says." THURSDAY: The rise of Television and TV advertising. Oregon Suffrage — Oregon was a critical locale for women's suffrage and home to one of it's major movers. ​(Left) A brief look at the history of the suffrage movement that led to the right of women to vote in the United States. It was a rocky and often violence-filled road. ​The Suffragist was the primary publication of the National Woman's Party headed by Alice Paul. Click on image for information on this and other suffrage publications. Watch: (Left) An animated video on Watergate Scandal by Ari Hoptman. (Right) The story of the Pentagon Papers. Ari Hoptman is a Minnesota-based actor and author, specializing in Germanic etymology, as well as a Marx Brothers historian. Watch: Reinventing Ed's Coed, below right. Erb Memorial Union (EMU) Documentary from EMU Marketing on Vimeo. Reinventing Ed's Coed is the story of the first student film ever made, and the current movement in Hollywood to turn it into a modern comedy. 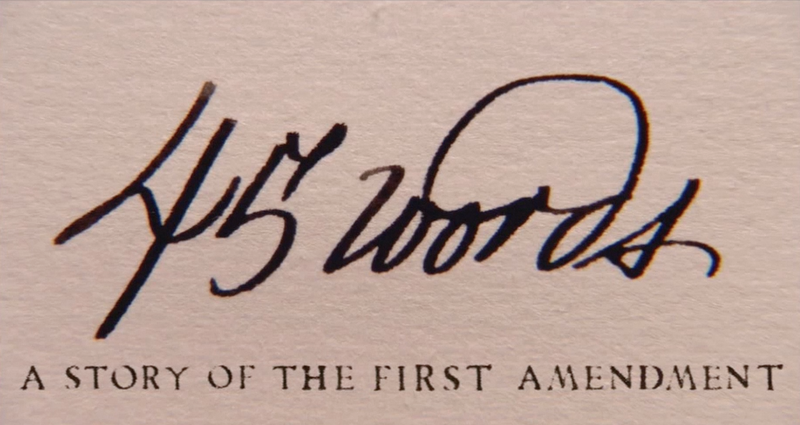 The original film stands as a testament to the history of the University of Oregon and the student initiative that created it, and this film attempts to show that that initiative is still alive. This short documentary was produced in 2009. We'll watch part of it in class.